Blogging is one of the productive ways to spend your time online. You get to share your opinions, experiences, and expertise with the rest of the world, and if you put some extra work, you can also earn some money from your blog. So how do you start a blog? Before you even get on the computer, you need to decide on who your target audience is. You have to blog for a particular segment of the society. This will give you an idea of what your blogging niche is. This can be education, environment, or humor and so on. 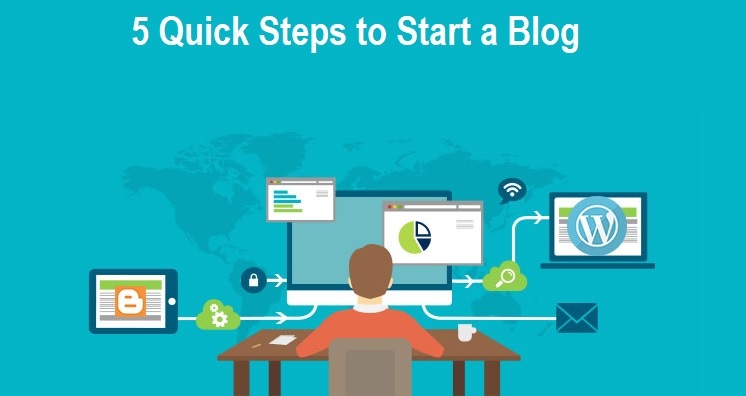 With a blogging niche in mind, you can then proceed to the next steps of starting a blog. A CMS (Content Management System) is basically a blogging platform upon which you create your blog. There are many blogging platforms you can use but WordPress.org, Blogger.com, or Joomla are the most popular. Before you settle on one, sample each to test their user-friendliness and the templates therein. The domain name is the URL of your blog. For the purposes of SEO, your domain name should short, easy to remember and in line with your blogging niche. The domain name should tell a visitor what to expect on your blog, something like BestPickleballPaddleReviews.com. Occasionally, you might find that the domain name of your choice is already taken and you have to choose a variation of the name or something else. Almost all the blogging platforms have a free-hosting option where your URL then becomes part of their domain name. For instance, yourdomain.wordpress.com. These are cheap options for those hobby bloggers who have no plans to monetize their blogs. If you want to be taken seriously as a blogger, then you need to go for a self-hosted blog. With this plan, you have to choose a hosting company which gives you more control over your blog. You need to select a reliable hosting company such as NameCheap.com or GoDaddy.com so that you minimize the downtime for your blog which affects its rankings. There are a lot of templates – some free, others for a fee – offered on various blogging platforms that can help you come up with a website in no time even without having any web development skills. Alternatively, you can hire a professional web developer to come up with your website. Either way, your website needs to have a simple layout for easy navigation and be responsive so as to give the same experience to visitors using different devices. More importantly, your website should load fast. No one likes a blog that takes forever to load. By the time you start a blog, you should already a clear idea of the content for your blog. This is the niche for your blog. You need to generate original content regularly for your blog in order to gather some readership. You need to understand that you don’t just acquire an audience for your blog overnight. It takes time and consistency in high-quality contents.